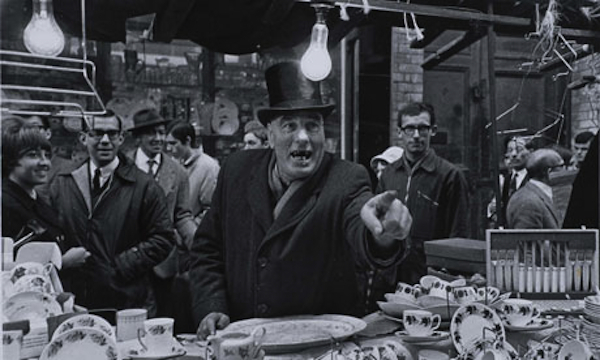 The premise of Tate Britain’s exhibition Another London: International Photographers Capture City Life 1930–1980 is an interesting one. How does London look to those who arrive here from elsewhere? These are pictures made by people who were either visitors to London or who had adopted it as their home. The answer is that it looks both familiar and strange but, in the main, I think perhaps the strangeness comes less from the viewpoint being that of a non-Londoner than from the pictures coming from the foreign country that is the past. The earlier pictures are interesting as history pieces – it’s always fascinating to see that mix of familiar places playing host to people from a different time and there is something great about London fog on film – but it’s the images from the 1960s and ’70s that interested me more. This is the London in was born in and the city of my childhood making the pictures are a stark reminder of quite how much life has changed, and not just in London. In places it feels like the exhibition might just as well be called Another Planet. I have a feeling we had plates a bit like this at home at one stage. I certainly remember crockery a lot like this being sold at my local market in the early 1970s and I remember the personality of the market traders as they drew the crowd in ready to do what was always presented as the deal of the century, even though it was the same deal as every Sunday. The top hat and terrible teeth feel like they come from another age though, rather than the previous decade. And if there hadn’t been a date for Bruce Davidson’s picture of babies in prams in the park, I’d have guessed the early 1950s rather than 1960, but his bus conductor could easily have sold me a ticket to school as a small child. Another Davidson picture, also from 1960, shows a car park on a bomb site offering a reminder of quite how long we lived in the shadow of the war. Overall, I think I found the pictures from 1960 or thereabouts compelling precisely because they show London just before the paradigm shift of the 1960s. 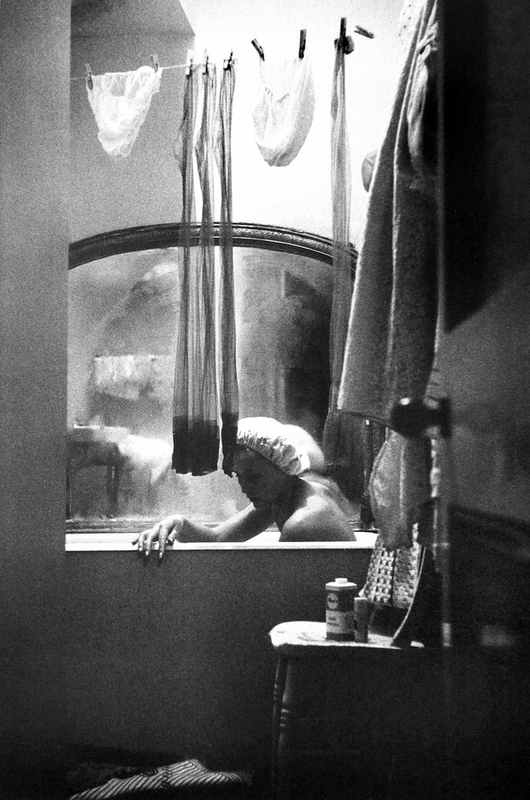 The pictures look like they come from another world but perhaps Eve Arnold’s One of four girls who shares a flat in Knightsbridge offers a hint of the change that is to come even as the stockings hanging up to dry pull the image back to a time before the arrival of tights and the mini-skirt. One of the striking things about the exhibition is that all the work is black and white. I guess this is down to the type of images included – with notable exceptions, the resistance to colour in photojournalism and editorial photograph didn’t really give way until the 1980s and the work here comes from a single collection which may well not have bought colour photographs – but with colour a key cultural signifier it’s perhaps a shame not to see the 1960s and ’70s represented as they actually looked. But maybe that would be missing the point. 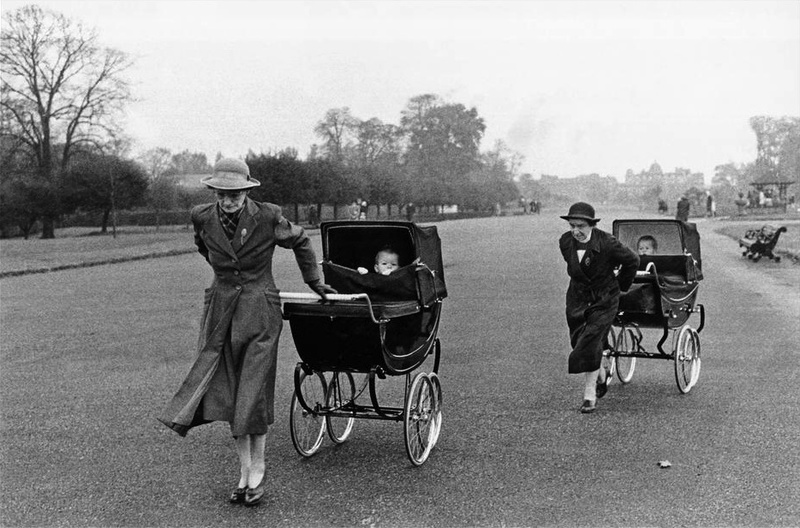 This entry was posted in Identity, Photography and tagged Another London, art, Bruce Davidson, Eve Arnold, London, Middlesex Market, Milon Novotny, One of four girls who shares a flat in Knightsbridge, photography, Women with baby carriages by Ann Jones. Bookmark the permalink.